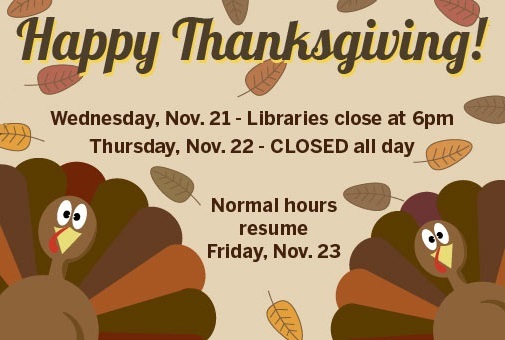 The library will close this evening at 6 PM for the Thanksgiving holiday, and will be closed tomorrow as well. Normal hours resume on Friday. In the meantime, the digital library is always open! Happy Thanksgiving, Baton Rouge!